The Sunrise Verde window is nearly identical to the standard Sunrise window model, along with a few standard upgrades; a fiber core reinforcement, Solar clean glass, a foam filled chamber and a foam wrap. These additions will certainly help with the performance and the long term durability of the window. The Verde was at one time a specialty window that was only available through a select number of distributors. Today, however, the Verde is a popular Sunrise model that is carried by quite a few Sunrise dealers and is considered a very good vinyl window. While it's not quite up to par with their top-of-the-line Restorations window, it isn't far off. The Sunrise Verde window, as is the case with the Sunrise Vanguard Series, is available in a variety of exterior and interior frame color options (including 6 different interior wood laminates), as well as some great hardware materials (including 3 upgraded metals). There are also a number of different glass packages, grids, screens and blind options to choose from as well. Consumers can expect Sunrise Verde window costs to run approximately $55 to $65 per square foot for the window itself. Comparable windows include Polaris UltraWeld windows prices and the Kensington Quantum 2 model. The Sunrise Verde, with the standard features and no additional glass upgrades, will deliver a .28 U-value, .05 air infiltration and a .21 SHGC. 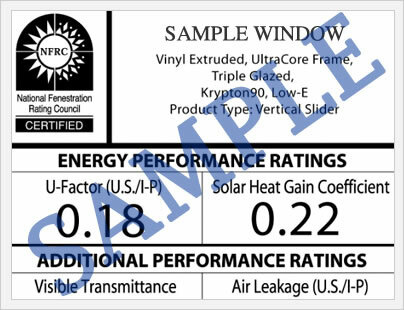 An upgrade to a better glass package will lower these numbers, consumers can expect something like a .23 U-factor, .04 air infiltration and a .20 SHGC. The Verde offers some very nice performance numbers for consumers looking for a high quality vinyl window that is priced a bit lower than the truly premium replacement vinyl windows. The Sunrise Verde includes a Limited Lifetime warranty on the sash, frame, hardware, IGU, balances and screens. Paint color and finishes carry a 20 year provision against blistering, cracking and peeling. There is a 10 year warranty provision on excessive color fading. The Sunrise Verde warranty is transferrable, however you must notify Sunrise of the transfer in writing and pay a $50 transfer fee. 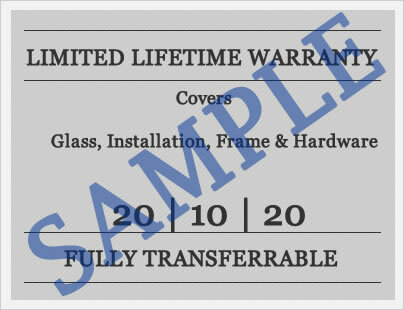 This vinyl warranty is relatively straight forward, although there are a number of limitations and exclusions so consumers will want to read the warranty in full before their purchase. Do you have question about the Sunrise Verde Series? Get information on industry pricing, features, upgrades, performance numbers contractor bids and much more. Have a Sunrise Verde window review to share with the world? Post it on our site and lets others get the low down on the quality, cost and installation issues surrounding this well thought of vinyl window.